But you can never have enough alternative ways to use a banana, eh? 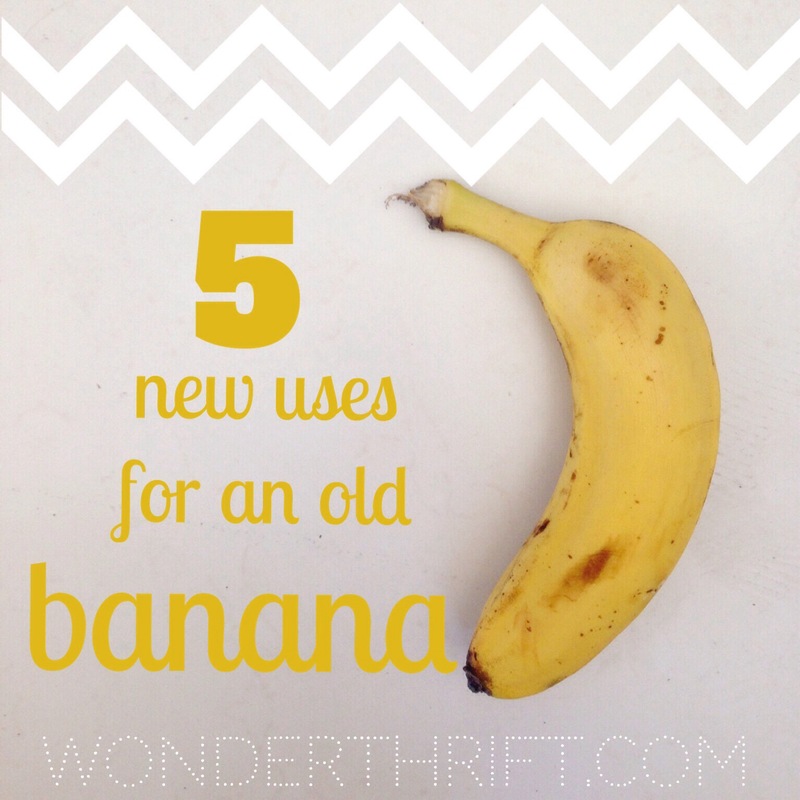 Inspired by the wonderful Miss Thrifty’s fantastic post, Five Thrifty Uses for a Potato, here are Five New Uses for a Banana! 1- I suffer from insect bites BADLY. I am the family sacrifice for the mosquitoes. When we were last on holiday I was going mad and turned to Twitter for advice. Someone suggested rubbing the inside of a banana peel on my bites and I gave it a bash. It relieved my howling skin perfectly. 2- Hair treatment. I have indeed kneaded blended banana through my hair in my efforts to cut out the chemicals in my life. I didn’t add the extras other websites suggest as I didn’t fancy extra oil or sticky honey. The mashed banana made my hair feel super soft- although I needed a comb to help wash it out. 3- I’m not a massive gardener so when I give it a good go and try to grow something I get especially riled if aphids try to get involved. GRRRRRR! Cut up banana skins placed around the bottom of a plant distract aphids away from your plants and onto them. Discard on e they rot into your compost as they add some essential potassium into the mix. 4- A good old face mask. Smoosh a banana up with one table spoon of oats and one spoon of honey. Mix it all up then swipe huge grizzly lumps of it all over your face, massaging in for a bit of an exfoliating effect. Leave for five glamorous minutes then wash off and pat dry. NEW WOMAN! 5- Now. I haven’t tried this. But I do love a good life hack and apparently using a banana skin to fix up scratched C.Ds is one. Can you do it and let me know? We are mostly post-CD these days. I bet there are loads more uses for an old banana out there. Ask your gran, she’ll have one tucked up her sleeve….